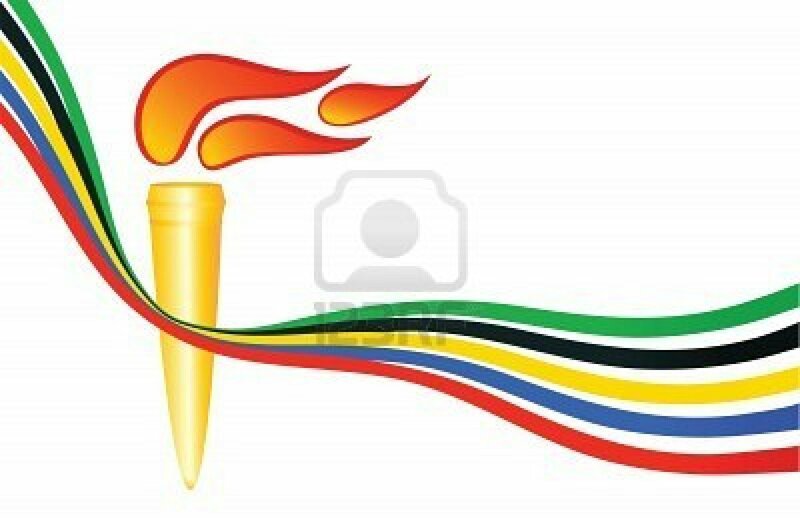 Today's challenge is all about the Olympic Torch that started its journey aroung England today. I love this challenge because I love the Olympics! They are are so fun and exciting to watch! My next step was to draw my torch on my ring finger. For this I used Pure Ice Bite and a stripper brush. Next I added the flames using a stripper brush and Essence Wake Up, Zoya Pippa and OPI Quarter of a Cent-Cherry. I added the Olympic colors to my other fingers using Sinful Colors Nail Art in Jungle and Time Off, Stripe Rite Yellow, Essence Walk on Air and OPI Quarter of a Cent-Cherry. I added 2 coats of BL Hardwear, which, boo hoo, pulled the colors! I thought the the design was missing something so I went back and added Northern Lights. Don't the Olympics have a sparkle about them?!?!?! So what do you think? Have I made you excited for the Olympics??? 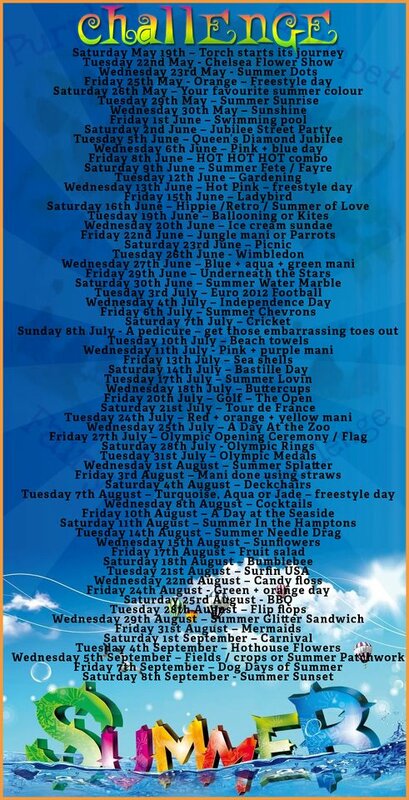 I'm so excited for the Olympics! Great idea! It's funny, while I was scrolling through your pictures, I was thinking to myself, "Man, if this had glitter on it..." and then *BOOM* you did it! Dude this is freakin amazing! these are awesome! i love the glitter ! Awesome! I'm so excited about the Olympics! Gymnastics are my favorite summer! I love this, it turned out great! !